Hi! I’m Maria! 🌸 I am a disabled New Jersey-based freelance illustrator and comic artist. I graduated from Moore College of Art & Design in 2016 and have been freelancing for the past six years. 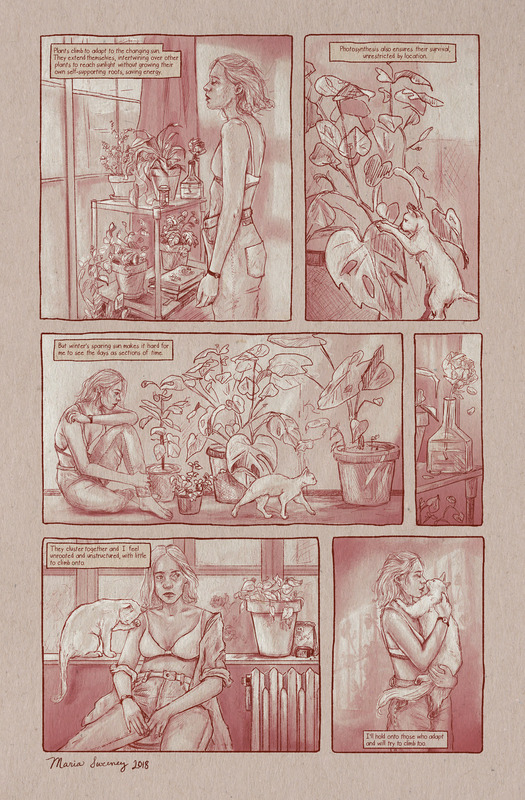 I also illustrate In A Rut Comics. Art has always been a source of autonomy and expression for me. My hope is that through utilizing Patreon, I’ll be able to continue to create and build my professional platform. While a career in the the artistic field is notoriously difficult, being a disabled artist prevents me from being able to work standard able-bodied jobs. My hope is that with your support I’ll be able to pay my bills a bit easier, but also offer Patreons an intimate view at my drawing and comics process. Please feel free to give me feedback or suggestions and thank you for help in supporting my livelihood and my freelance business! Brittle Joints is a collection of stories based on my experience as a person living with very rare disability. Autobiographical vignettes demonstrate the sometimes uncomfortable, and often unspoken aspects of a disability, as well as the "good days" that gave me the most autonomy and independence. Short stories include topics about navigating relationships, social struggles, transportation, lack of accessibility and commonly misunderstood elements of disability culture. 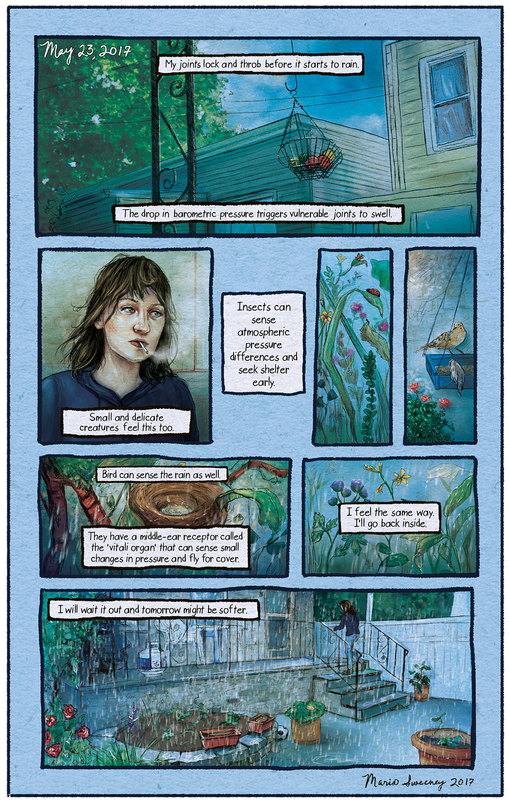 Other stories seek to capture the mental strains that accompanies living with a physically-restricting disability. 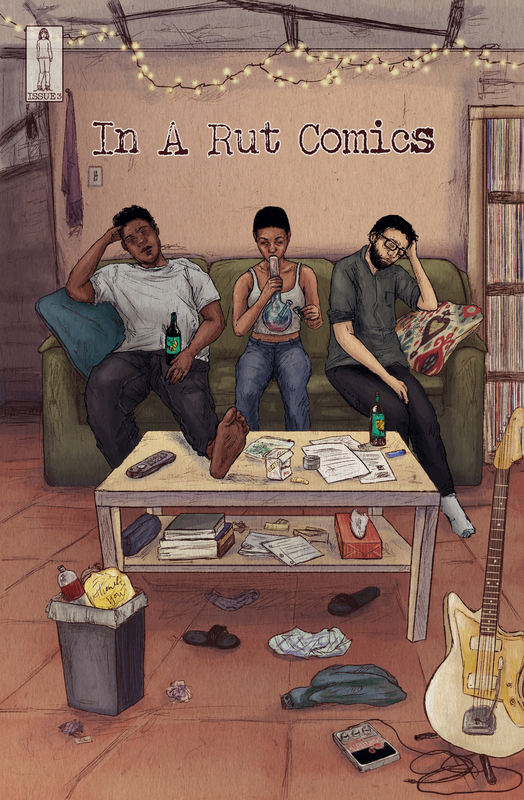 Brittle Joints is an effort to shed light on disabled representation in literature and comics alike. A digital thank-you for your support and kindness! An intimate look into my sketchbook for that month (2-4 pages). Scanned as is, no edits other than minor contrast tweaks to keep it true to the original. Some sketches are exclusive to Patreon! A little treat will be sent you each month, containing a note, hand drawn sketch, a sticker, and a limited sewable patches! This is my starter goal. When reached, not only will it help my monthly expenses, but it will allow me to expand my reward tiers and video setups.